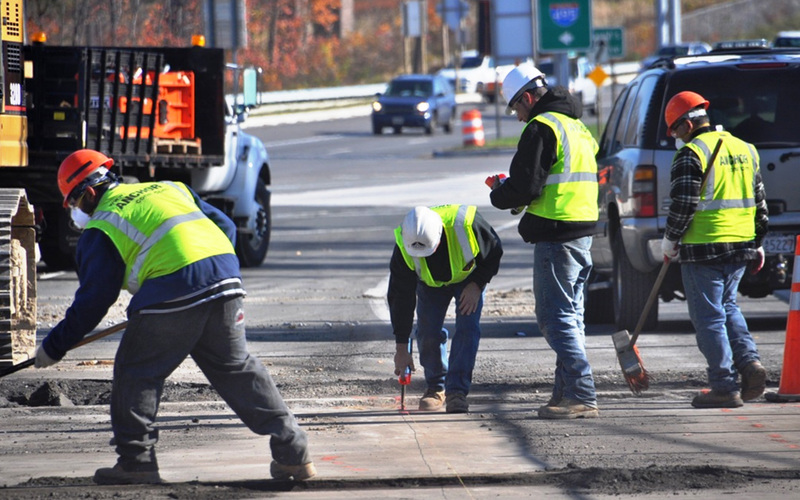 Highway and bridge contractor employment was flat in April 2018 compared to April 2017, ending four years of monthly gains, according to the latest data from the U.S. Bureau of Labor Statistics (BLS). Although employment in this sector has not changed from last year, these workers are spending more time on the jobsite, averaging 43.9 hours per week in April 2018 compared to 42.1 hours last year, a 4 percent increase. The general construction industry saw employment rise by 3.9 percent over the same time period. Most construction sectors saw employment gains in April, with a slight decline only in other heavy construction. The employment dynamics reflect the overall trend in the amount of highway and bridge construction work being done. The nominal value of highway and bridge construction work in April 2018 was $6.11 billion, 2.8 percent below April 2017, according to the U.S. Census Bureau. The U.S. economy added 223,000 jobs in May, the 92nd consecutive month of job creation. The nationwide unemployment rate fell to 3.8 percent, its lowest level since early 2000. Highway and bridge employment reporting lags a month behind other data in the BLS release, so May transportation construction payroll details are not available until early July.